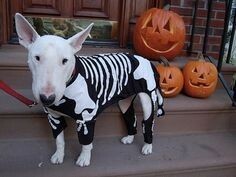 My Skelly Bob outfit to scare all the ghouls away, woof wooooooooffffffff. Very Cute! Is it homemade? If so, very well done!